Some Liverpool fans have been reacting with excitement as the club’s new signings have had their official shirt numbers confirmed for the new season. The club confirmed the 2018/19 official shirt numbers for their new signings on their Twitter account and official website. Our 18/19 squad numbers have been confirmed. Brazilian goalkeeper Alisson Becker, who joined the club from AS Roma this summer, will wear the number 13 and will have ‘A. Becker’ on the back of his shirt. Meanwhile, Brazilian defensive midfielder Fabinho, who signed from AS Monaco, will wear the number 3 shirt, and young striker Rhian Brewster will wear the number 24 this season. One Liverpool fan said number 13 is lucky for some. AB13 lucky for some ???????????????? It’s all getting very real now Liverpool fans. The Red’s faithful will be able to cheer on their new players in the upcoming Premier League season, as they take on West Ham on Sunday. 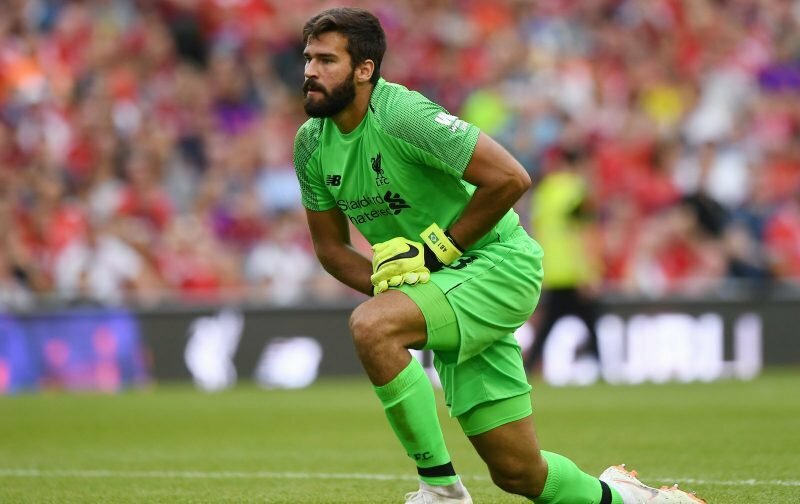 The fans are obviously happy with the shirt numbers that have been given, although 13 is classed as an unlucky number by some people, new goalkeeper Alisson will be hoping that it’s a lucky one for him this season. It’s also a big season for the new defensive midfielder Fabinho, who has been given the number three shirt, normally reserved for a full-back, as he will provide competition with the club captain Jordan Henderson. The fans are also excited at the prospect of young striker Rhian Brewster given the number 24 shirt which indicates he may get a bit of time on the Liverpool sub’s bench this season after the sale of Danny Ings to Southampton. The wonderkid has got massive potential and the Anfield faithful can look forward to seeing more of him this season.